The Miracle Morning Life S.A.V.E.R.S. – Simple Practices You Can Do Each Morning to Change Your Life! 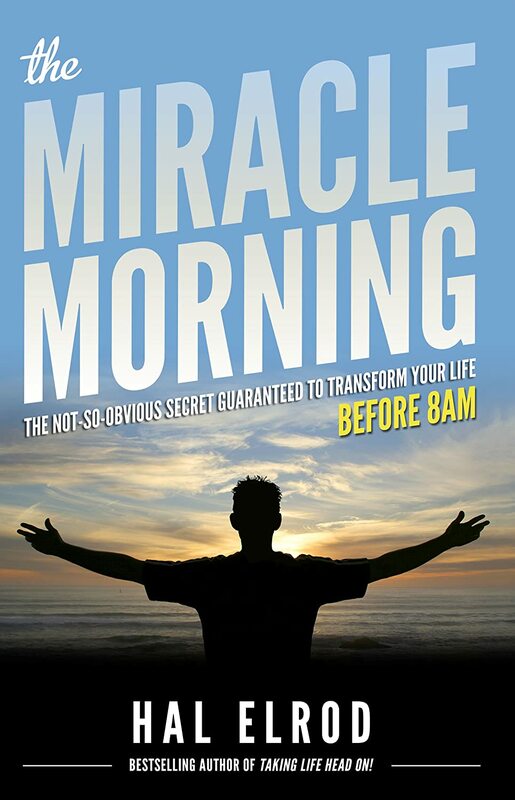 So, the other day, I was listening to Pat Flynn’s “Smart Passive Income” podcast, & he had a guest on the show named Hal Elrod who wrote a book called “The Miracle Morning.” As the title alludes, this book is all about the benefits of getting up early, the steps we can all take to get up earlier, start our day off with intention, & how implementing this habit can truly change your life! If you listen to or read any type of personal development content, you will see this come up ALL THE TIME. Getting up earlier to allow some time for yourself is one major key in having a happier, more organized, focused, & fulfilling life. As I mentioned in my last personal development post on the Weekly Rhythm Register, I’ve been needing some extra motivation to get back into this habit. After hearing Pat Flynn’s episode with Hal Elrod, I downloaded Hal’s podcast & put his book “The Miracle Morning” on my list of must-reads 🙂 I haven’t read the book yet, so can’t personally vouch for the book itself, BUT Hal discusses a lot of the book’s content & principles on his podcast & on his website & I just couldn’t wait to share this one concept with you: The Life S.A.V.E.R.S. This is an acronym for the 6 things he suggests everyone to do first thing in the morning before doing anything else! A little more research into this concept has me really excited to more consistently put these things into practice. So, here are the 6 Life S.A.V.E.R.S. ~ Hal gives a 4 step process for creating affirmations. First, write down what you want in your life. To narrow your focus, separate into different areas like business, health, relationships, lifestyle, etc. Second, write down why you want those things. Often when writing your “Why’s” you gain clarity on whether or not you actually want that thing you wrote down – this is the driving force behind those goals you created. Third, write down what obstacles are preventing you from getting the things you want & how can you remove those obstacles. Finally, write down what you are committed to doing EVERY DAY to achieve those goals. Once you create your affirmations, read these every single day & modify or change them if needed as your life moves forward. This section on affirmations is something I have not tried yet in my daily routine, so I’m anxious to implement this & see the effect that it has. Seems like it could be a very powerful practice, starting your day off with your goals in mind! ~ This is when you visualize the end result of something you want as if it has already happened. Visualize being at that place & the feelings that you have associated with it. Doing this transforms a desire/goal/dream that may currently be “cloaked in fear,” as Hal describes, into a real possibility & helps you break through that fear & propel you forward toward achieving that goal. After you’ve visualized the end result, then visualize the DAILY action that you must take to make your vision a reality. The key to this is to visualize the daily action in a positive light (you’re smiling & enjoying the process). An example that Hal gives is having a goal of writing a book. First, visualize people reading the book, smiling, enjoying it, sharing it, & having it influence their lives. Then, think about the daily action of writing the book & visualize yourself enjoying the writing process, being inspired & having the ideas flow through you. That’s just one example, but this principle can be applied to any goal! Again, this is not something I currently do, but excited to take a minute or 2 each morning to practice this & see the effects! ~ Spending some time on personal development each morning is something that I strive to do! Hal suggests a few minutes of reading (something non-fiction for self growth) each morning, but I think that listening to audio books or podcasts can be lumped into this category too. Podcasts & audiobooks are great, because you can listen to them while you do another activity, like exercise, cooking breakfast, getting ready, or driving to work. However, there is something to be said about reading an actual book, so I’ve been trying to give myself a few minutes each day to read a good personal development book! Even if it’s just a few pages each day, that practice compounds & eventually gives you a wealth of knowledge you wouldn’t have otherwise had! ~ AKA: Journaling. This is one that I’m really excited about because I used to LOVE journaling, but have gotten out of the habit in my old age 😉 I’m looking forward to getting back into it. A lot of personal development experts say that the act of writing has a major effect on us. Hal suggests a journal called the “Five Minute Journal,” which has a section for morning journaling & evening journaling. The morning journal includes writing down 3 things you’re grateful for, 3 things that would make today great, & 1 daily affirmation that you’re committed to doing/practicing that day. The evening journal includes writing down 3 awesome things that happened that day (can be super simple things!) & writing how you could have made that day better. You can follow these guidelines or journal whatever you want! 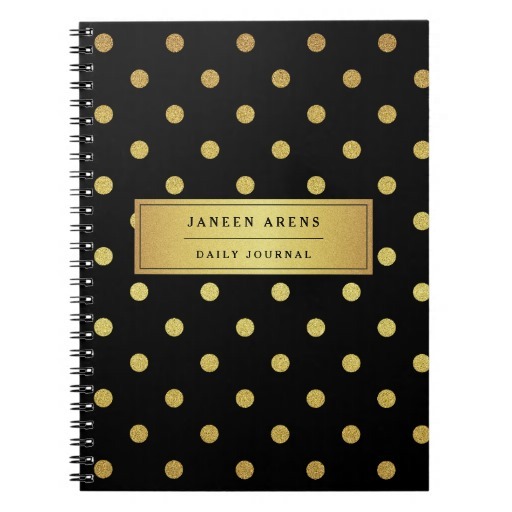 To give myself some extra inspiration, I purchased a custom journal from zazzle.com. They have SO MANY awesome choices for journals that you can customize with your own name, text, words of inspiration, quotes, etc. The one I ordered is pictured below. Click here to make your own! Also, if you’d like to listen to the whole podcast about this topic, go here or download Hal’s podcast, “Achieve Your Goals” from the app store. I’m looking forward to trying all of these out for myself! I’d love to hear what you think of these or if there’s any other ideas you have to implement into your morning routine 🙂 Comments always welcome! I’m really looking forward to reading this book. I’ve so many good thing about it and these life savers. Thanks for this blog, as I just kind of stumbled upon it while looking up the 6 steps. Hi.. Thanks for this awesome blog. Inspired me a lot. Looking forward to implement the SAVERS in my life. This is really life changing step if anybody start they can reach beyond their expectation. yes it has a life changer for me thnx for the blog doing good work for changing the world..
Great article … very inspiring!